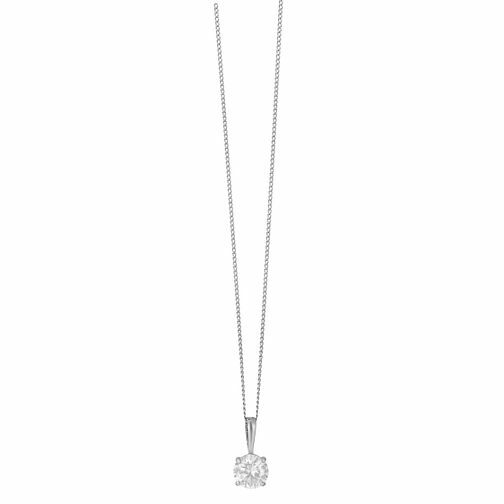 A classically simple yet elegant 5mm round cubic zirconia pendant. Crafted in 9ct white gold for a look that shines. 9ct white gold 5mm round cubic zirconia pendant is rated 5.0 out of 5 by 2. Rated 5 out of 5 by Anonymous from This product is stunning. The pendant is a beautiful and elegant product, very well made.